Tim Carter describes what Trex RainEscape is. This is not a how-to-install-it video. Go to Trex RainEscape for detailed installation videos. This product protects that area below your deck by channeling water away from that area. LOOK AT PHOTO BELOW to see why snow and ice will not harm it. I'll wait until you see what it looks like after the winter ice and snow. My gosh, are you ever going to a lot of unnecessary work and expense just to have a "dry" area below your deck. I built an authentically designed and built Swiss Chalet ten years ago and I used aluminum decking that channels rain off to the outer edge of the deck. Been dry underneath ever since. I would NEVER use wood decking after my experience with the aluminum product. Work smarter, not harder. I see a lot of decks with stuff stuck in the gaps of the deck. I would love to know the recommended width of the gap on a trex deck and how the Rain Escape can be cleaned or flushed out well since pine needles and the seed pods from Oak trees would be getting down there. I see you pitched it towards the house. Is this ok to do? What did you do for a gutter underneath? Yes, the founder of Trex Rainescape was at my house and told me to do it. The reason is I had too many deck railing posts to deal with at the other end. It makes no difference where it pitches. 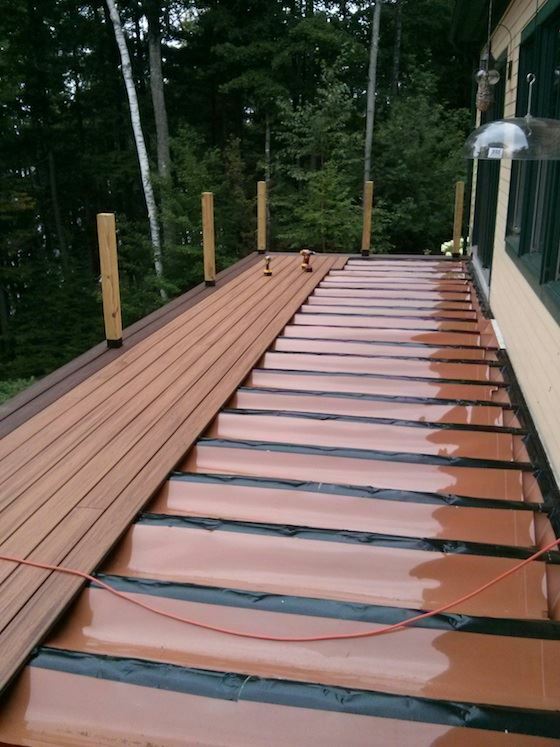 I'll upload a photo of the underside of the deck above so you can get an idea of the gutter system. I installed two separate systems that were L-shaped and mirror images of one another. It will actually take a few photos to show it all and I can't take great ones until it warms up. Thanks for your the response and picture. We are planning on using IPE as our decking material. 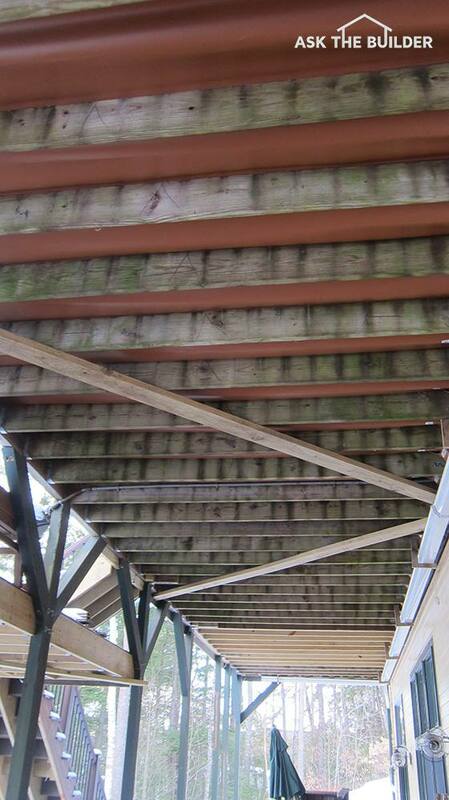 When using hardwood decking there should be adequate cross ventilation. Will the RainEscape system hinder the boards from getting proper ventilation?